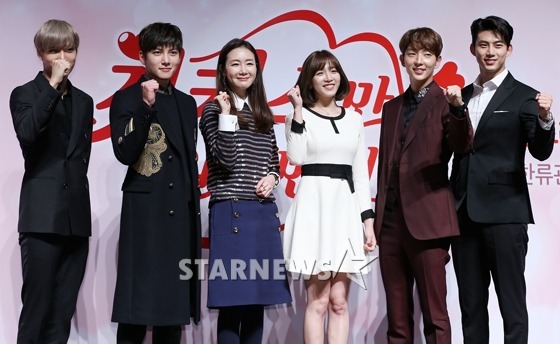 Home News Buzz Lee Jun Ki, Tacyeon, Kai and Ji Chang Wook in 1 Drama? You heard us right. The top drama stars of the year who took blew away the minds (and hearts) of fangirls worldwide – have come together. Lotte Duty Free will be producing a webdrama with a flower-boy filled lineup that will air sometime in December. So far, the confirmed line up includes Lee Jong Suk, Lee Jun Ki, Ok Tacyeon, EXO’s Kai, Ji Chang Wook and Park Hae Jin. The lucky female lead role was bagged by actress Lee Cho Hee. The roles assigned to these beautiful oppas are just as creative. Ji Chang Wook, much like his role in The K2, is going to be playing a top-notch secret agent. Lee Jong Suk will be playing a popular celebrity. Park Hae Jin and Kai will be playing Lee Cho Hee’s older and younger co-workers. Lee Jun Ki, who played the dangerous 4th Prince Wang So in Moon Lovers, will act as a chaebol church oppa. Lastly, but definitely not the least, Ok Tacyeon who is famous for his beast-dol image will be playing a naive bachelor. 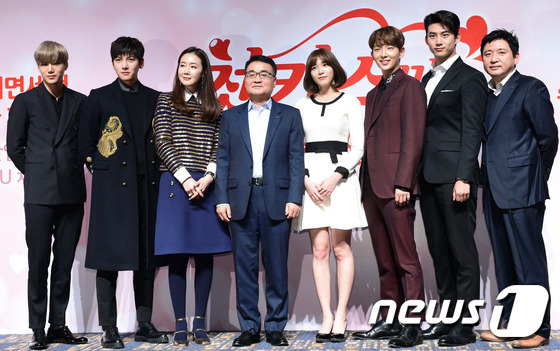 The web-drama will not only air as a blessing for all K-drama lovers, but will also act as a promotional tool for the shopping complex. With Lotte Duty Free’s exceptional endorsements with several Hallyu stars, this is to be expected. There were even hints of The Legend of The Blue Sea star Lee Min Ho joining the cast. What do you think about that? Previous articleMELON MUSIC AWARDS 2016: Let’s see who took home the awards!